Grab your Discounted Elephant Plush Toy while the store LAUNCH DISCOUNT is on. Once we reach 200 unit sales, we will be increasing the price back up to $69.99. Ready for some cuteness overload? Get the camera ready and don’t be surprised when the baby’s playtime also becomes your favorite part of the day. Imagine you’re seeing their innocent smile and shimmer in their eyes from pure happiness; does it melt your heart? You can make that happen today with our Baby Elephant Pillow. It comes in a vacuum-sealed package. Please allow 48 hours for it to restore its original shape. Elephants are one of the most comforting and gentle animals on the planet. Although they're giants, they're incredibly kind and compassionate. 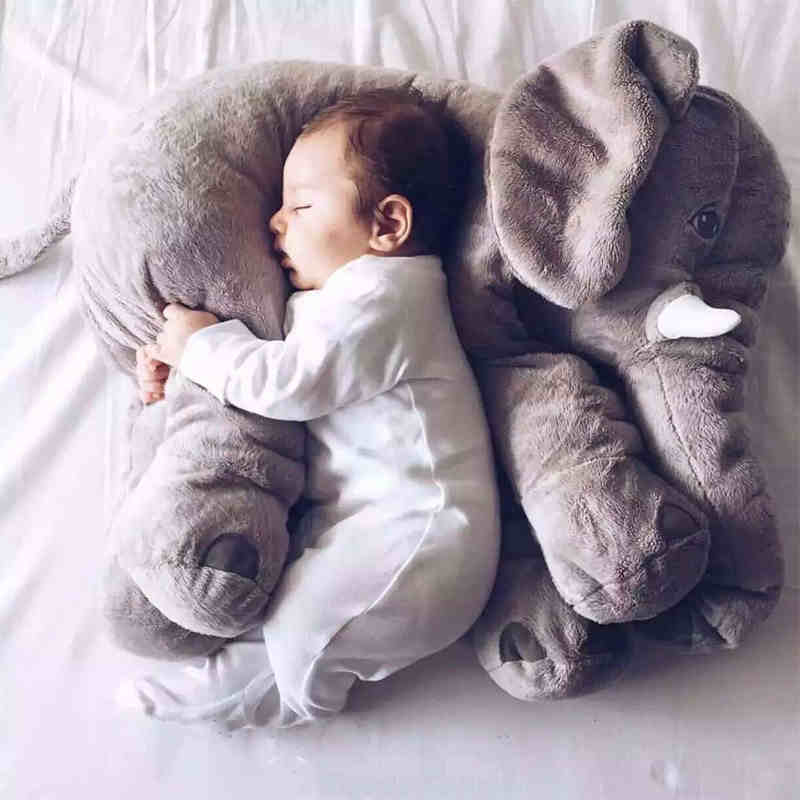 Surround your baby with the positive energy these giant gentles provide with an elephant plush pillow. Large enough to provide your baby with something to hug and hold during photo sessions. 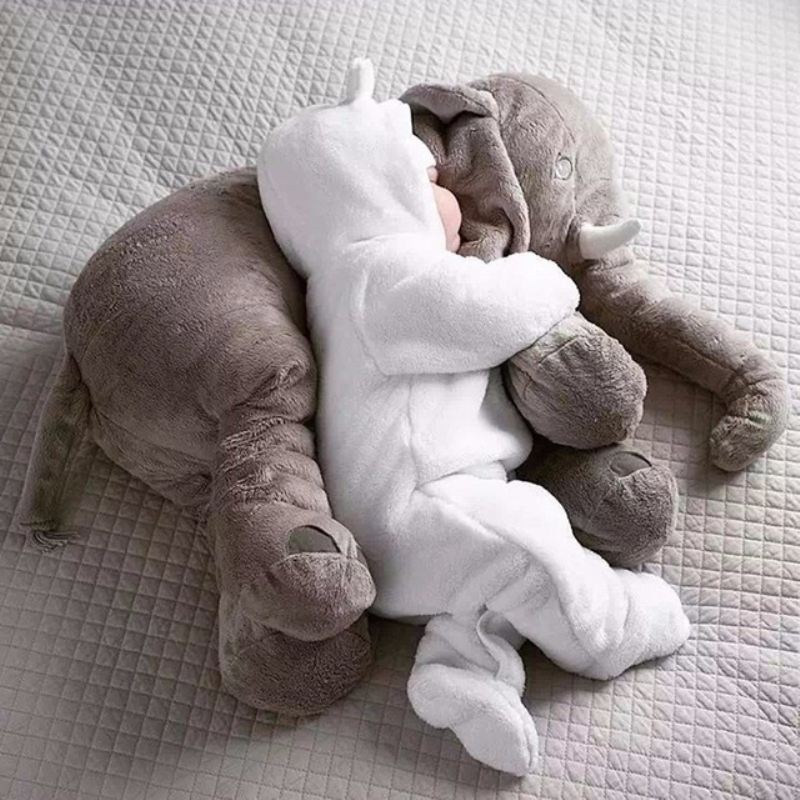 Our comfy elephant plush pillows are the next best form of comfort for your little one (apart from its parents of course). This comfy elephant plush pillow is perfect for your infant, toddler, or as a baby shower gift! Comes in 5 cheerful colors to choose from. For a limited time get one for 50% OFF the original price and get FREE shipping worldwide. Want the perfect cuddle buddy for your little one? This elephant plush toy is the perfect companion! Big, super soft, and cuddly. What's not to love? It's HUGE! - Perfect cotton-stuffed pillow for your little one! Perfect for cuddling; huggable size for toddlers. Ring a smile to your children with this lovely companion. You and your little one will love this adorable stuffed elephant pillow. Thanks seller today i got it my little angry elephant. Thank you again. 10 in 10!!! elephant is gorgeous!!! i fell in love! three дошел perm to, отписался смской mail me on waiting for what) mimi is soft straight) just want to do not let go from self... but in the closet прятать ng to have. оценит деть hope. get up to успею переживала not very holiday tk. it moscow сортировках on floating in two weeks. to seller написала волнуюсь that, and has mk contact that reply to perm прискакал elephant next day! thanks to seller, not summarized!!! I give 6 Stars. Communication with seller is very very good.